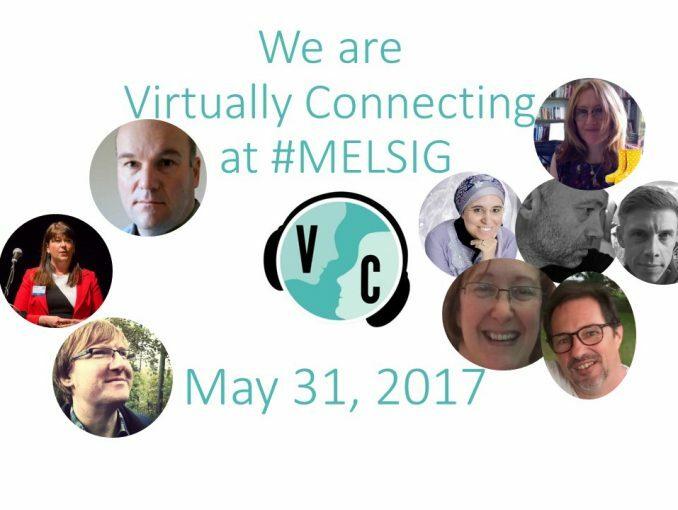 On May 31, 2017, Virtually Connecting will be at #MELSIG (Media-enhanced Learning Special Interest Group) at Edge Hill University in the UK. This event will consider how learning space becomes learning place through the use of digital and social media in and out of the classroom. We will hear from academics and developers about how the learning space is becoming richer through blended and more personal and networked approaches. We will have two sessions. busy, busy — I am sometimes up by those times in my own zone but never on purpose. So, I’ll catch this one on replay too.